This is very exciting news. 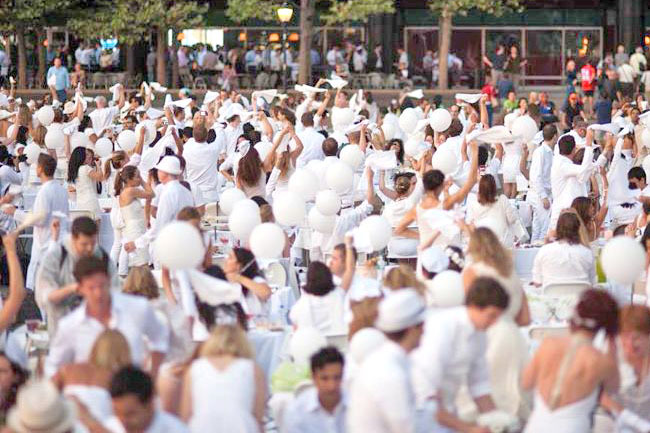 Dîner en Blanc is coming to Asia, and Singapore will be the FIRST Asian City to host this prestigious world-renown viral secret pop-up picnic. The date is set to be 30th August 2012, which is next Thursday! Simply said, this is a classy picnic where everybody turns up in white at a ‘secret location’. 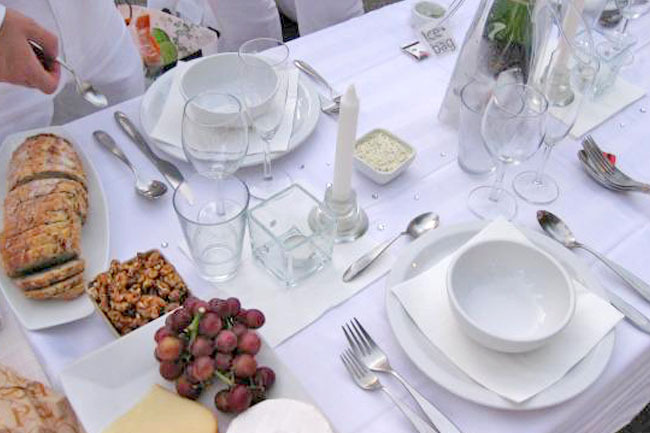 Dîner en Blanc first started in 1988 Paris, where the creator François Pasquier asked attendees to convene at the Bois de Boulogne dressed in white so they could all ﬁnd each other. This eventually became a must-go, world’s most viral outdoor food & party event which has taken place at Paris, Lyon, Amsterdam, Munich, Zürich, Berlin, Montreal, New York, and now Singapore. Now, visualise a thousand Singaporeans and friends coming together to enjoy a meal together, with a beautiful evening skyline behind, dressed in a sea of white (yet not showing support for any political party) – all chic, clean and sophisticated. This is a Singapore I have never imagined, very dreamlike, yet coming true. I want to go to Dîner en Blanc. How? Like the Parisian version, the only way to attend is to score an invite from a friend, and to know someone who is attending. Registration is already super full. As I mentioned, the location is kept secret and even attendees like myself would only find out that day. BUT to find a scenic location in Singapore that can house more than 1000 people, my guesses are Gardens by the Bay, Marina Bay area, or Marina Bay Sands. My guess is as good as anybody else. The organisers are strict. If you are invited and not attending, you would be kicked off the guest list (like forever). You have to bring your own white foldable tables and chairs. 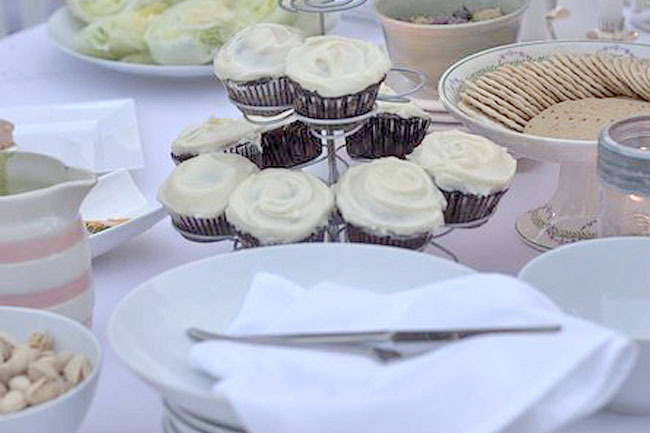 The food must be eaten off proper plates and cutlery (such as fine china) and NOT plastic cutlery and paper plates. The organisers want to be environmentally friendly. Only wine and champagne are allowed, and beer and hard alcohol are prohibited. I don’t think the ladies are going to have much problem with wearing white. BUT the guys are going to have a lot of problem… wearing white pants. How many of you guys own a pair of white pants? Own up! (Other than the PAP folks) After you do find a pair, please do not wear bright coloured underwear (resist your temptation of wearing red undies). My advice is to wear light coloured tight fitting boxer briefs and going commando is really the worst option ever. What WHITE food to bring? Good question. 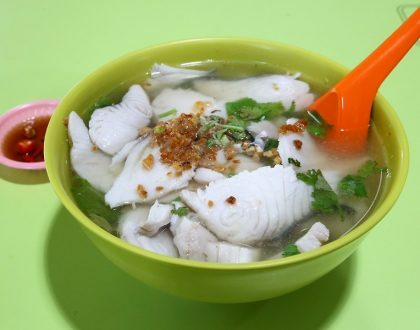 While the Parisians probably indulged in their platters of classy white canapés, here’s a list of White food you can consider bringing, Singapore style of course. Let’s be a little bit creative. Wanted to bring Snow White Milk Gelato but think it will melt before I reach there. Anyway, I am just kidding about the White Food part. You can any bring coloured-food, just no paper plates and disposibles. If you are thinking of bringing ‘hawker’ food, do eat them off proper plates in the ‘right’ presentation. So now, are you ready for le pique-nique on 30 August? This is a variation of the popular Thai dessert, mango sticky rice. White Dragonfruit & sweet glutinous rice will be layered and drizzled with coconut milk, served in an elegant glass. eh, I quote my friend who is helping out with DIner en blanc. “It is not one of the picnics to bring hawker food.” You’re expected to bring more atas food leh. Anonymous. Good suggestions but I need to know who you are. haha. Bai tang gao (steamed chinese rice cake)? 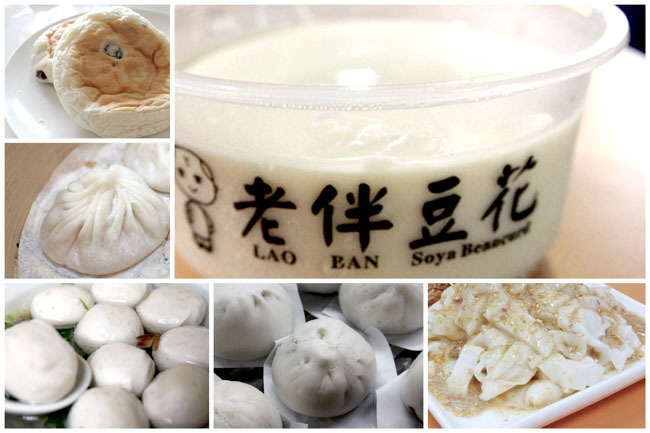 Where to find good bai tang gao ah? Daniel, I found bai tang gao at Fong’s curry puff @ Clementi Central Hawker Centre. Cheap and tasty! Australian pavlova for a more atas dessert. 🙂 I love bai tang gao too! 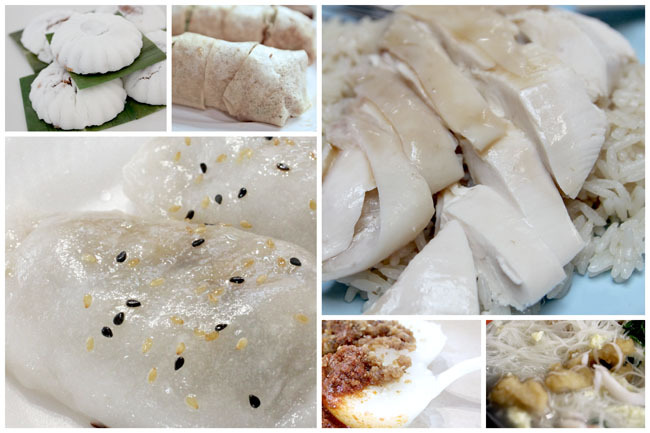 Maybe you can try one of the kueh stalls at tiong bahru market. That is a good question Melly. I wonder also if everybody would abide to all the rules with regards to the dressing, picnic chairs and tables. Singapore IS a very HOT country to picnic in all that. Sounds like such a fun picnic!!! Why would the organisers want you to remove this post? Or is it suppose to be secret? Bloggers have the right to be respected for the job that they do, they are also members of the media regardless of what others think. They should be a respected for things they write, say and opinions should be valued for things done. And please respect the food served in the whether it is hawker, restaurant and hotels because those are iconic dishes, representative of the country. Last but not least, please develop CULTURAL SENSITIVITY and RESPECT towards all races. This is the millenium. Surely, we learnt this in school during Social Studies. Separately, people will have to buy the white tables and chairs and linen for this event (Ikea 1; Environment 0), after which I suspect they will hardly be used again. Doesn’t sound environmental at all. I also heard that there is a no-driving rule – is that practical? Table, chair, picnic basket, cutlery, food, wine – public transport during peak after-work hours – seriously? But wait – the rule does not seem to apply to organisers and invited guests… So much for an egalitarian society. I will still be very happy for the organisers if they can pull it off because it augurs well for Sg Inc, etc. I just hope they are gracious enough to admit that they were wrong to discriminate against local food, and apologise to the bloggers who were uninvited after many have already blogged about the activity. If not for the free publicity already done, at least for the sake of common courtesy. Anyway, I hope they had the good sense to apply for a police permit for this event. I think they have the worst attitude ever. I couldn’t tolerate their high ego that they thought our local food couldn’t fit into their picnics item. Inappropriate! I give you my support! Let them lie in their own world. That’s all. Let’s keep calm and eat Tau Huay and chicken rice and keep embracing our own culture! Our life is way more beautiful than attending an inconsiderate event. The audacity to ask you to remove your blogspot. How dare they turn their noses at our delightful local delights. Such snobs. A pox on them. Come on, who’s surprised by this? They’re French! There’s no one more unjustifiably obnoxious about food than them! They make great desserts, sure, but I think Middle Eastern and Indian cuisine are light years ahead in terms of flavor and use of herbs and spices! Who wants the hassle of lugging around tables and chairs, not to mention having to follow so many rules, just to eat anyway?? Some people have way too much time and not much of a life. I also love how they claim to be environmentally friendly yet still encourage guests to bring along fresh cut white (duh!) flowers for table decorations on Facebook. Any environmentalist will tell you straight to the face that cut flowers, unless grown in your own background organically or poofed into existence via some magic, are damaging to the environment. And I’m not even sure about the latter. Magic usually comes with a price I’m told. You know what you could do and I think would be great. Gets the word out and get lots of people you know (especially if they’re invited – I trust being in media you know some – ppl who have not yet been deemed infectious bloggers and uninvited). As a sign of mass protest and pride in Singapore’s “heritage”, get everyone to just show up with your prescribed food. While it may fail since I expect they have primarily invited ppl who buy into the “atas”ness and/or Caucasians who live here (many of whom I expect will be French), I do think it is worth a shot and will be really funny to see the reaction on their face 🙂 That’s the whole reason they asked you to take down your post so as to not “contaminate” their event! 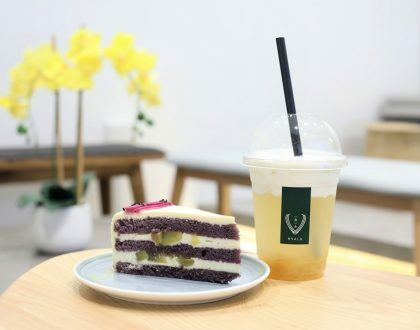 Come On Singaporeans, take this opportunity to show the world that Food, any food – when presented in the most exquisite and elegant style…can be picture prefect and tummy satisfying too! Please remember that we will be the first in Asia to hold this and we will set the precedence to the rest of the Diners in Asia. there is bound to be differences in views – Foie gras to Mee pok, salads to rojaks….but the spirit for the event should not be dampened by these , it should rather be strengthen through dialogue with the organizers and coming to a consensus on what we can do with the task set upon us – to create a magical white evening in Singapore to show the world that we can party too! So to those peeps going to the Black party, grey party or even rainbow colour party in resistance – do think of the big picture….think positive and think Singaporean! I have one tiny bone to pick with you though, with regards to your original post. If this selection of local white food is what you had proposed to present as “Singapore food” to this international event..why is there not ONE non-Chinese/non-Nonya food item in the list? I’m sure there are Indian, Malay & Eurasian food that are white or nearly white in colour that you could have put in the list as well? Or are they not good enough for your list? 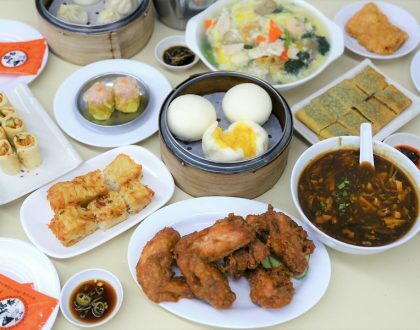 I’ve seen too many of these food lists by local food critics/bloggers that claim to be the best of Singapore food but has only or majority Chinese or Western food. Where’s the food from minority communties? We are also Singaporeans and proud of our heritage food. Before pointing fingers, isn’t it good to reflect your own prejudices as well? Just saying..hope you don’t get offended. what about the fried milk with crab or lobster?